Regular six monthly check ups so no nasty problems are allowed to develop and your teeth remain looking their best. Restorative fillings using the most up to date materials available to prolong the life of a tooth and to enhance its appearance. Dentures providing you with a lasting smile. Bridges which are used as a means of replacing teeth that have been lost. Crowns giving you a choice of materials to rebuild or mask existing teeth. Dental Implants can be used to replace missing teeth without damaging the other teeth which are near them. These implants are not available on the NHS but are available from Diplomat Dental at very reasonable prices. Just ask at Reception for prices. Extractions are only used when a tooth can no longer be repaired and to relieve you of pain. At Diplomat Dental we use up to date anaesthetics so that you can have a relatively pain free extraction. ‘The Wand’ computer controlled anaesthetic system. This is particularly useful for our younger patients and our very nervous ones or those who are needle phobic. The Wand looks like a pen, it rapidly numbs the specific area instead of the whole gum and does away with the need for needles. 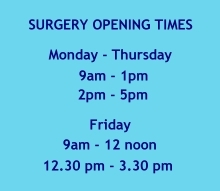 This service is not provided through the NHS but is available at a small extra charge. Just ask at Reception for details. Root canal treatment – By extracting the damaged parts from the root canal, we can keep the exterior of the tooth looking good. Preventative advice as we would much rather prevent problems for you rather than have to deal with the results of neglect. Oral cancer screening. This forms part of our preventative dentistry care. Orthodontic referral service. Both of our dentists will be able to give you advice on methods of straightening your teeth and be able to refer you on to an orthodontic specialist for NHS treatment. For private cosmetic dentistry look at our next section for Invisalign and Clearstep Orthodontics. Dental hygiene advice, teeth cleaning and polishing. To help you to keep pain free with good dental health our dentists will provide advice on care of your teeth for now and for the future.